The Marna Lab, located on the remote west coast of Quadra Island, B.C. Canada, is a world class aquatic research laboratory designed, built and supplied by IAS in 2018. IAS supplied a total of forty (40) Individual Culture Module (ICM) systems to provide researchers with the advanced tools required to investigate some of the most relevant questions in modern marine science. 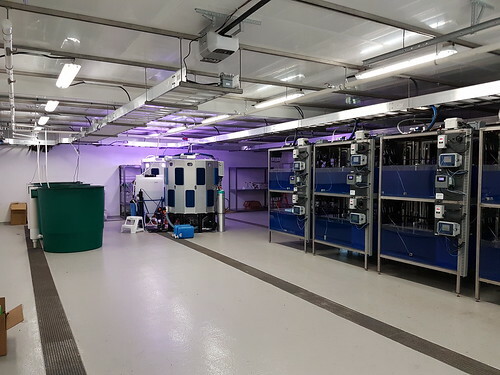 Each mesocosm system is equipped with independent monitoring and precision control systems for temperature and pH with datalogging and remote access to evaluate results from anywhere in the world. 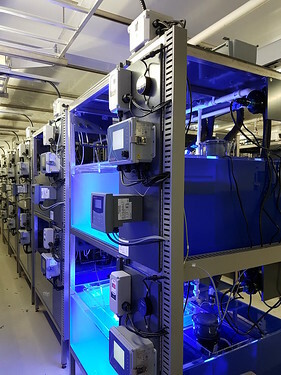 The ICM research systems supplied to the Marna Lab seek to provide invaluable insights into ocean acidification and climate change in order to help human understanding and improve utilization of our precious ocean resources. 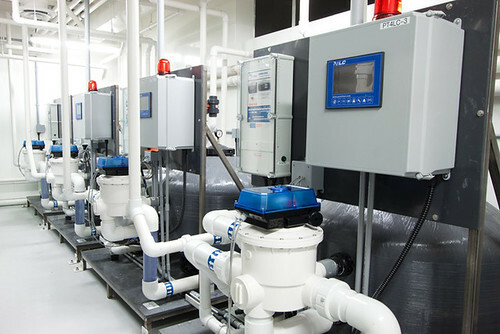 Central to the ocean acidification control ability is an advanced, centralized facility-scale pH control system using precision mass flow controllers (MFC) and laboratory-grade Honeywell pH sensor instrumentation. The pH control system allows researchers an unparalleled number of treatments for any combination of temperature and pH level. 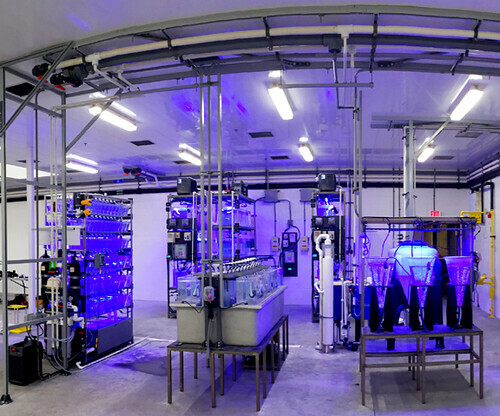 The new Ocean Acidification (OA) Testing Facility for Mote Marine’s Tropical Research Laboratory located on Summerland Key, Florida was designed, built, supplied and commissioned by IAS. 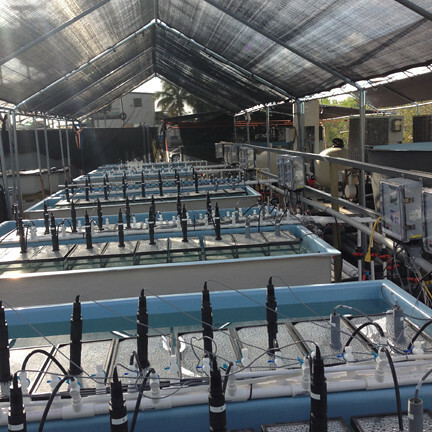 Mote Marine Lab is currently using this system for coral restoration, and has nicknamed the system the “The Ocean Simulator”. Mote ML has seen explosive coral growth and has planted thousands of coral fragments back into the ocean with a 90% success rate. With this method, Mote is attempting to restore coral reefs in a few years rather than the thousands of years that it would take for nature to restore itself. 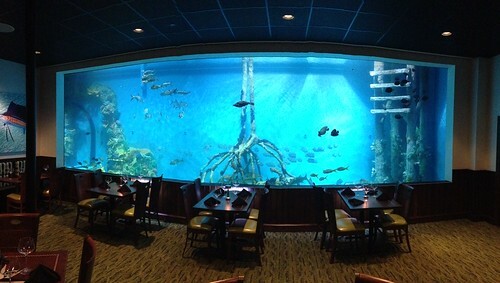 The custom flow through system features a total of seventy-five aquaria. 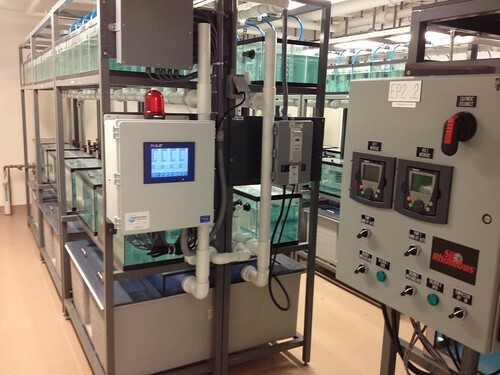 Each aquarium is individually equipped with pH and temperature monitoring and control systems. Automated pH control systems allow researchers to set raceway pH to any 1 of 3 levels using a sophisticated CO2 dosing system. User defined pH levels are controlled in combination with any temperature setpoint in order to mimic different conditions found in the changing ocean environment. 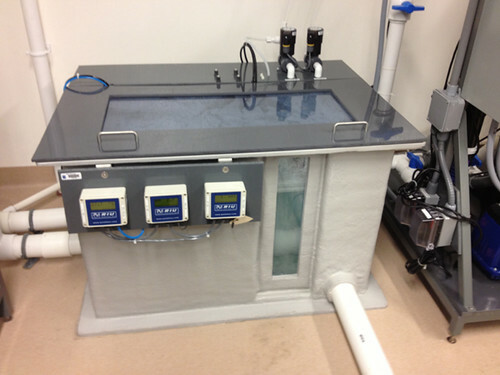 The “Ocean Simulator” system includes a robust Ethernet-equipped water quality monitoring and control system to allow researchers and site operators remote access to data and control points via internet. Alarm notifications are sent via text/email to management personnel and data-logging functions allow real-time monitoring and graphical evaluation of control points. 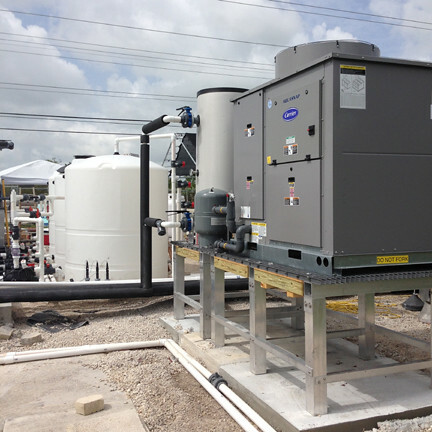 An efficient centralized temperature control package for both heating and chilling was included with independent precision heat exchangers for each raceway system to ensure stable water temperatures throughout the coral life cycle. 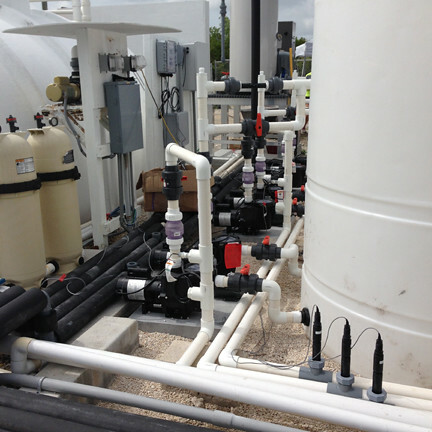 All systems were built to last in harsh salt-air environment found in the Florida Keys. 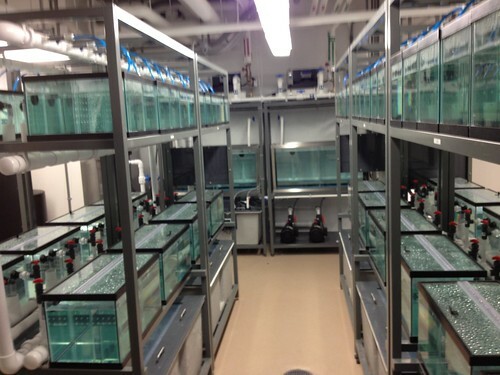 The new Banet Aquatic Research Lab at Cal State University Chico (CSUC) now has the research tools it needs to tackle research on the effects of rising ocean surface temperatures, and its effect on salmonid incubation success and performance later in life. The Banet Lab studies aquatic ecology, evolution and physiology, with a focus on fish conservation. Much of their current research concentrates on the ecology and conservation physiology of Pacific salmon species. Integrated Aqua Systems designed, built, supplied and commissioned the flexible use aquatic system to meet the specific needs of the user group. 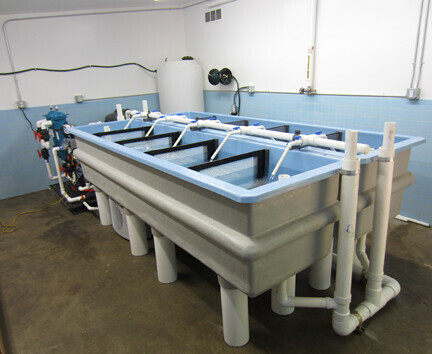 The project featured three independent Heath tray stacks, each with its own chiller and pump to meet the temperature and water circulation needs for these sensitive species. 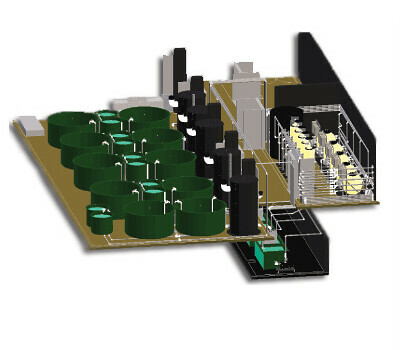 The main system was composed of two rectangular FRP rearing raceways to be used for growth comparisons, a fully integrated filter system and a makeup water system. 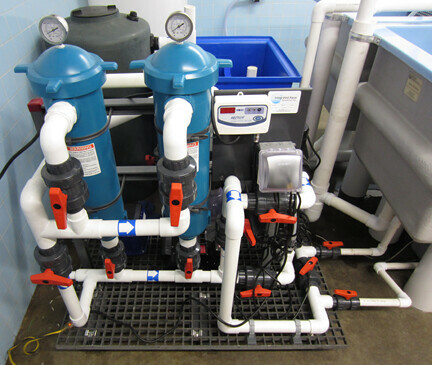 This INTEGRATED system provides the advanced chilling, disinfection, and filtration that is imperative in research of cold water fish species. The new Heath Tray Stack systems developed specifically for CSUC are built to stand alone with independent filtration temperature controls. 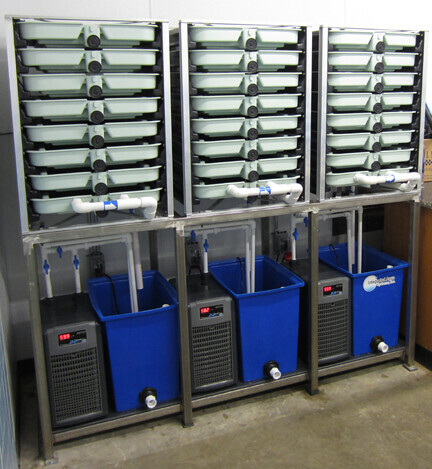 Along with custom dividers for different larval fish stages, the system offers a comprehensive aquatic housing solution for any salmonid research facility. 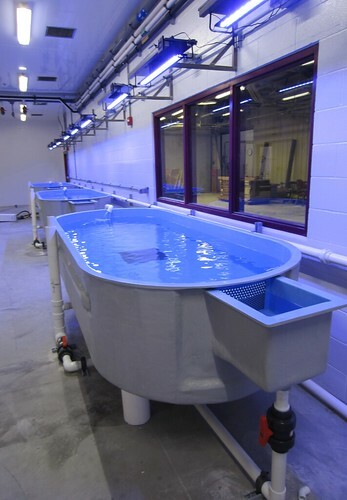 The new Aquatic Research Facility housed in the McLafferty Annex Building at Southern Illinois University in Carbondale, IL (SIUC) is a 7000 square foot state-of-the-art aquaculture research center. The aquatic facilities were designed, built, supplied and commissioned by Integrated Aqua Systems in 2015. 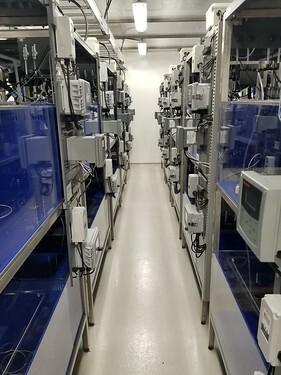 Systems were designed with the intention to provide researchers with “flex use” research space for a variety of different types of species and experiments. 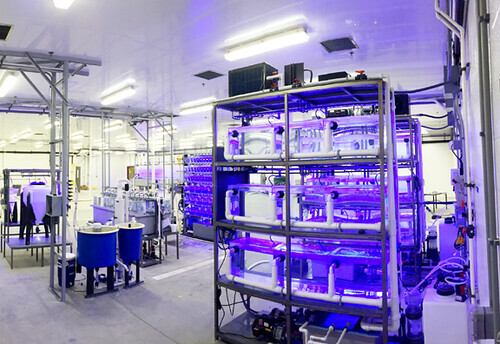 The project features seven fully automated and independently monitored aquatic systems as well as fish hatching and artemia cultivation systems. 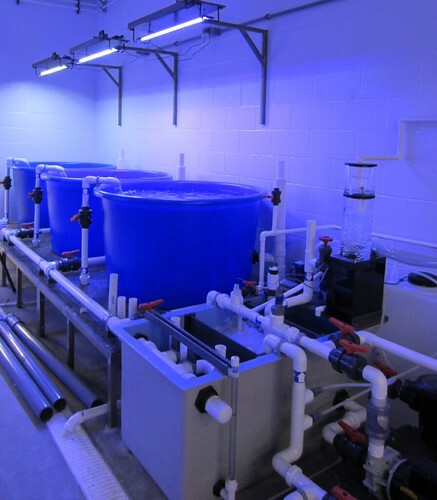 Tank sizes and configurations range from multi-tank rack mounted systems to larger 550 gallon tank systems for fish rearing and quarantine. All systems were built of heavy duty non-corrosive materials for long-term use along with a level of integrated automation to allow facility management with minimal labor resources. The aquatic systems supplied by IAS are a center piece for the aquatic ecology and aquaculture programs at SIUC offering a wide range of research opportunities for students and research staff for many years to come. 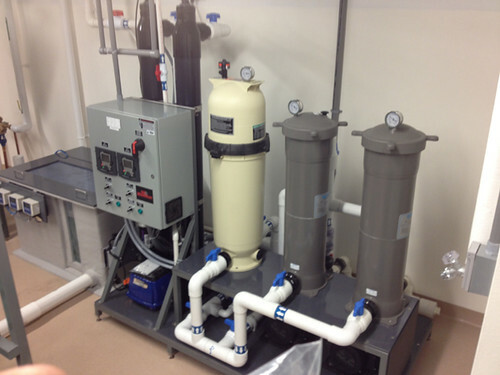 The entire facility is designed to operate with treated fresh water or saltwater with on-demand availability of water from the water makeup system. 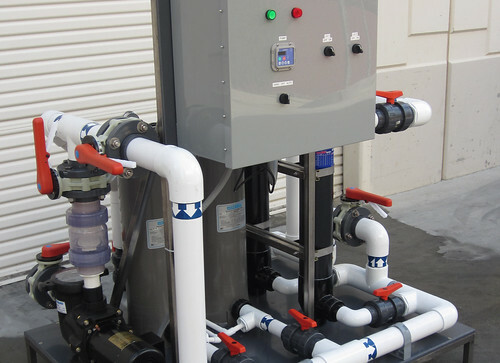 RO water is stored for freshwater makeup and an automatic seawater make-up system provides premixed salt water, with specified parameters to any of the systems installed in the wet lab. 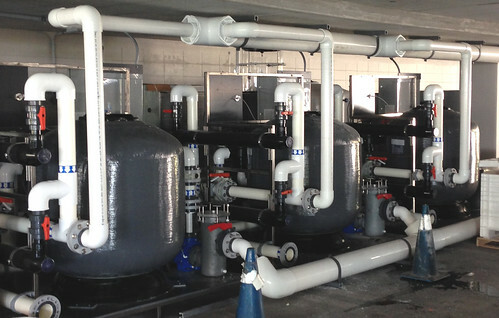 The automated seawater makeup system minimizes the required labor resources to maintain and operate the facility. 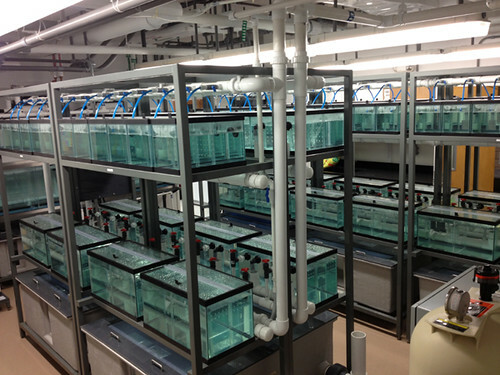 Integrated Aqua designed, built, supplied and commissioned this state-of-the-art custom saltwater aquatic research laboratory facility in 2013. The advanced facility is intended for research into the mechanics of movement and acoustic studies of the mantis shrimp. The extremely high value of these research animals requires a robust aquatic research system that maintains exceptional water quality for the research animals and also includes safety systems to prevent any disruption in system operation. 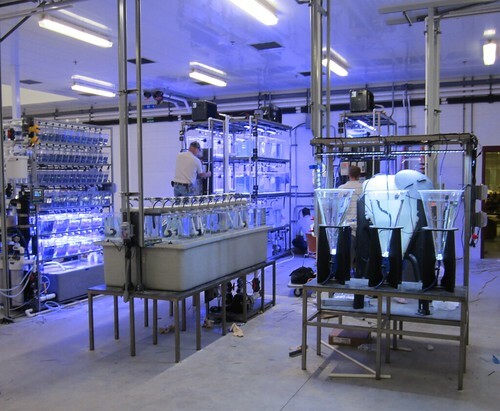 The research facility is comprised of two independent recirculating systems with 82 total rack-mounted aquaria. 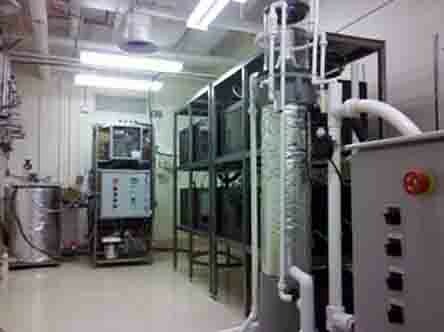 Every component in the lab is rugged and designed to mitigate the corrosive effects of saltwater. Critical water quality parameters in both systems are monitored, data-logged, controlled and alarmed by a centralized monitoring and control system with user friendly touch screen that is remotely accessible via internet. Alarm notifications are issued via email and SMS text to managing personnel and critical safety systems are in place to prevent any loss of life scenarios. 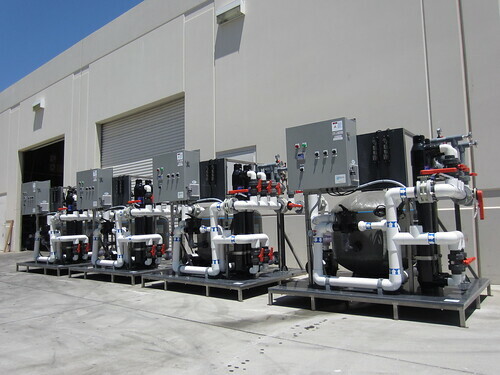 Precision temperature control (+/- 1 degF) is provided by facility supplied chilled and hot water lines through water-to-water heat exchangers for maximum reliability and performance. The system was highly engineered to meet the strict facility and user guidelines set forth by Duke University. 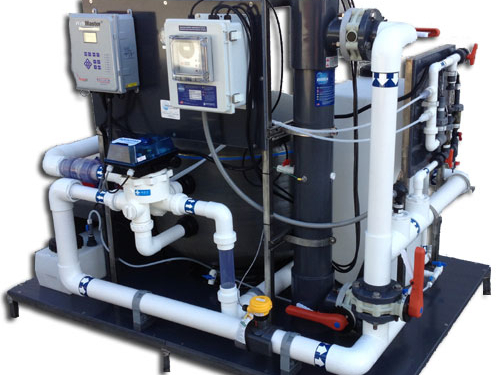 The key innovation for the systems is the precision automated salinity control system that is capable of maintaining desired salinity in the tanks within 1 ppt of the setpoint. 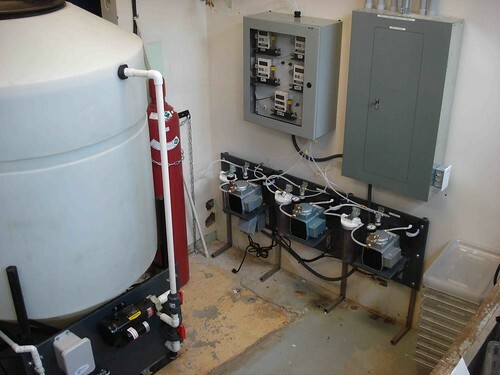 The proprietary salinity control system handles water exchanges automatically which minimizes the maintenance labor required to manage the system. The UBC Aquatic Research Facility is a state-of-the-art world-class installation designed, built and supplied by IAS and its collaborating engineering partners in 2011 – 2012. The project includes over 7,000 ft2 of aquatic research space and a total of 13 recirculating aquaculture systems between 1,800 and 3,000 gallons each. 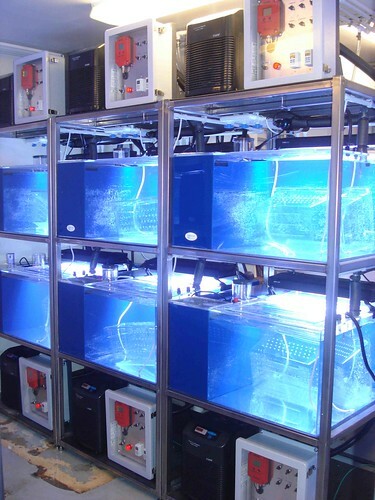 Systems are designed for high-density aquaculture research in 99.9% recirculating systems completely automated with water quality monitoring, control and alarm system. Effluent treatment system, centralized oxygen generator plant, centralized ozone plant and seawater supply system were also supplied by IAS. 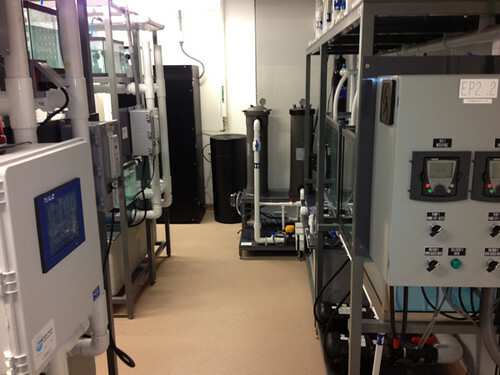 AquaPLC control system was custom engineered to enable single point user control of up to 5 automatic backwash systems (pumps, actuators, valves) for a total of 13 independent systems installed throughout the facility with equipment on two separate floors of the Biological Sciences Building. 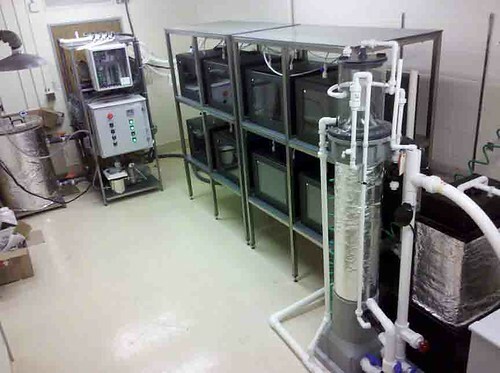 Custom design, build and installation of specialized hypoxia research systems (salt and fresh water) utilizing vacuum degassing method in 2010. 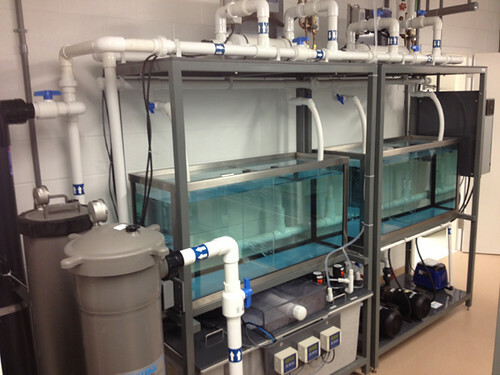 Two independent 8-tank, rack mounted research aquaria systems were supplied with recirculating filtration system, low oxygen control system (using vacuum technology) and computerized water quality monitoring system to record and graph data remotely and in real time. 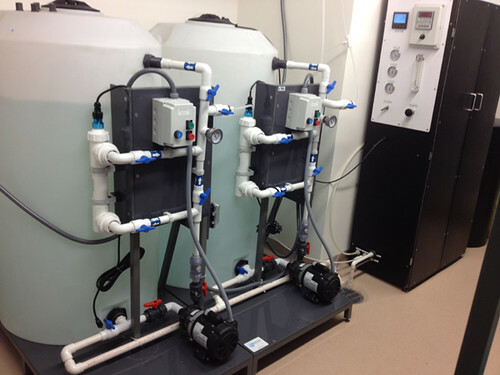 This unique system was able to maintain low oxygen conditions independently in each tank to as low as 0.7 mg/L consistently for short term or long term experiments. 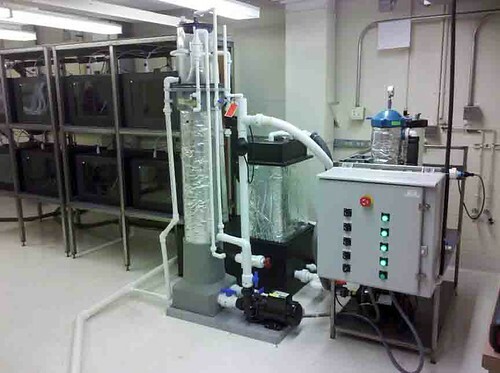 This highly sophisticated system utilized the vacuum degassing method instead of traditional nitrogen gas displacement method to improve accuracy and lower consumables cost especially for long-term experiments. 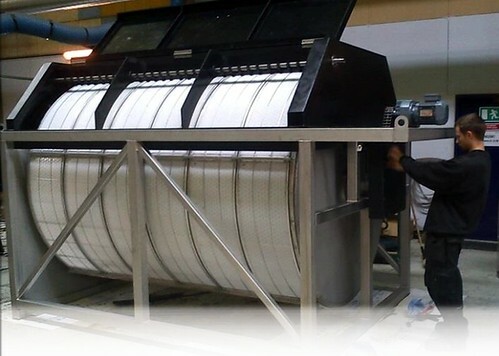 The resulting computer-controlled process that was specifically developed for this project provided stable oxygen tensions maintained by an inexhaustible supply of deoxygenated water. 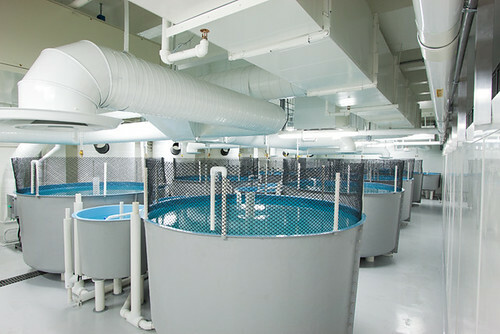 Custom design, build and installation of complete saltwater aquatic research lab for investigations into ocean acidification in 2009. 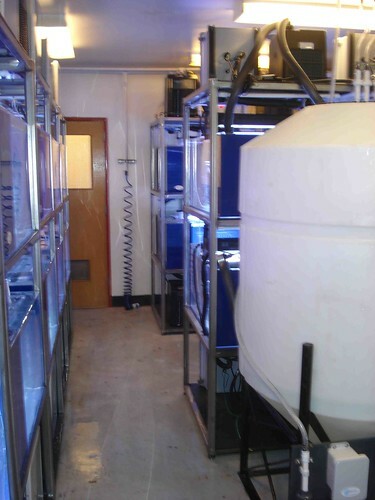 System included 24 independent 60 gal custom research aquaria, individually monitored (pH/temp) and controlled (temp/CO2 concentration/lighting). Other features included on-demand saltwater supply to tanks, three precise blended CO2 gas treatments to each tank, custom designed aquaria with integrated filtration system built into each unit. Precise laboratory-grade gas control and blending to achieve desired CO2 concentrations in each aquaria. Custom stacked independent aquaria racks fit into an extraordinarily small space.